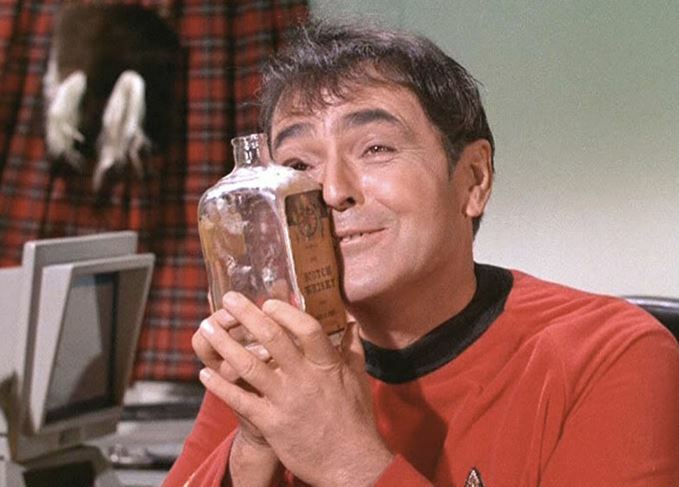 Star Trek character Scotty has lent his name to a new blended Scotch whisky, set to ‘beam down’ across the world in March. Created by US Independent bottler the Silver Screen Bottling Company, the three-year-old blend is bottled at 40% abv and is described as ‘exceptionally smooth with just a very slight smoky note’. Montgomery Scott is said to have been created in Glasgow at ‘one of the most awarded distilleries in Scotland’. Priced at US$49.95 per 750ml bottle, the whisky is now available for pre-orders through the Montgomery Scott website. The whisky will also ship internationally via online retailer For Whiskey Lovers. The character Montgomery ‘Scotty’ Scott was born in Aberdeen in the year 2222 and kept a bottle of ‘very, very old’ Scotch whisky on the Enterprise for emergencies. In addition to sharing its name with the character, the whisky sports a version of the iconic Starfleet logo that can be seen on almost every Star Trek uniform to date. Montgomery Scott marks the fourth Star Trek-themed spirit from the Silver Screen Bottling Company, including Ten-Forward vodka and two Bourbon bottlings named after Captain Kirk. The whisky is the latest bottling inspired by TV and cinema, with previous promotional releases tied to characters and franchises such as Blade Runner, Anchorman’s Ron Burgundy and the Kingsman secret agents. The Highland distillery has created a whisky to mark the release of Kingsman: The Golden Circle.